The last few months I've been trying to further downsize my den, because I didn't really need everything I had gathered and also because I'll be out for a few months starting in May. I sold, PIFed, gifted many items (hardware and software). I kept those I enjoy and those that I know I won't be able to replace. From having literally dozens of soaps and creams of all kinds, I wanted to go down to a handful of products. I won't lie to you, I didn't make it. I still have about 6-7 creams I don't need and around 45 shaving sticks (let's hope these won't turn rancid anytime soon). Shipping them would be more expensive than their actual cost. So, it's not even worth starting a BST or a Giveaway thread. Anyway, the following are the 4 soaps that I decided to keep. But, why these four? I've tried full products and samples of far too many soaps, mass produced and artisanal. I haven't really found any soap that performs better than I Coloniali for example, or a soap with a better scent or a more beautiful presentaion than Nuavia or even MT. 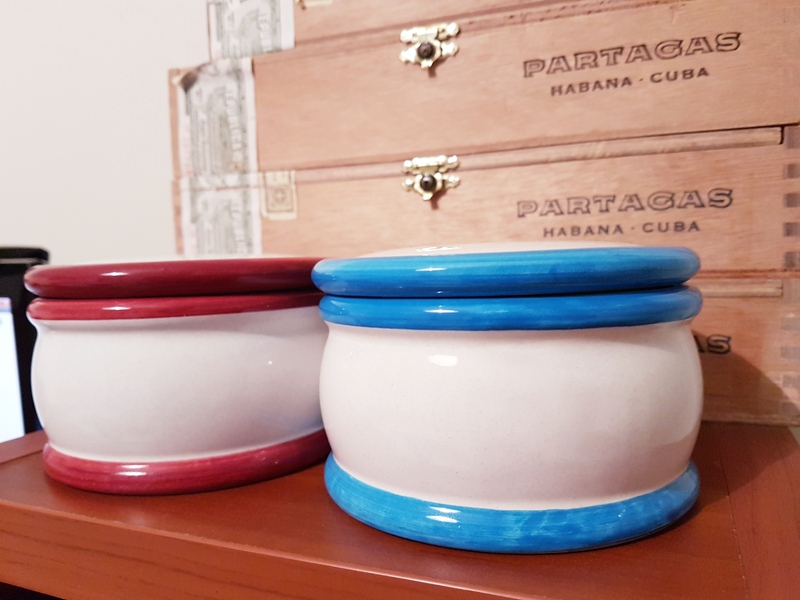 The truth is that if I ever manage to finish them, I won't probably buy them again (not referring to I Coloniali which is already discontinued). I think I will stick to my... sticks. The result is more important than the "journey" for me. I love luxury, I've spent (and still spend) a fortune on luxury/premium products (not in this hobby exclusively but in general). I enjoy the products above, but shaving is just a 20-minute procedure. I can get equally good shaves from some shaving sticks because I have a good technique after all these years and I know my products, what they're capable of. I only want excellent, smooth and irritation-free shaves. Food for thought. (03-24-2019, 07:55 AM)nikos.a Wrote: The last few months I've been trying to further downsize my den, because I didn't really need everything I had gathered and also because I'll be out for a few months starting in May. I sold, PIFed, gifted many items (hardware and software). I kept those I enjoy and those that I know I won't be able to replace. From having literally dozens of soaps and creams of all kinds, I wanted to go down to a handful of products. I won't lie to you, I didn't make it. I still have about 6-7 creams I don't need and around 45 shaving sticks (let's hope these won't turn rancid anytime soon). Shipping them would be more expensive than their actual cost. So, it's not even worth starting a BST or a Giveaway thread. I've tried full products and samples of far too many soaps, mass produced and artisanal. I haven't really found any soap that performs better than I Coloniali for example, or a soap with a better scent or a more beautiful presentation than Nuavia or even MT. Nikos, your logic is well presented and I respect your opinions. In the spirit of good conversation, I have the opposite opinion on one point, however. The road of my life has taught me to enjoy, learn and grow from, and in general, groove on the “journey.” I have yet to reach my “result.” For me it is most definitely about the journey. 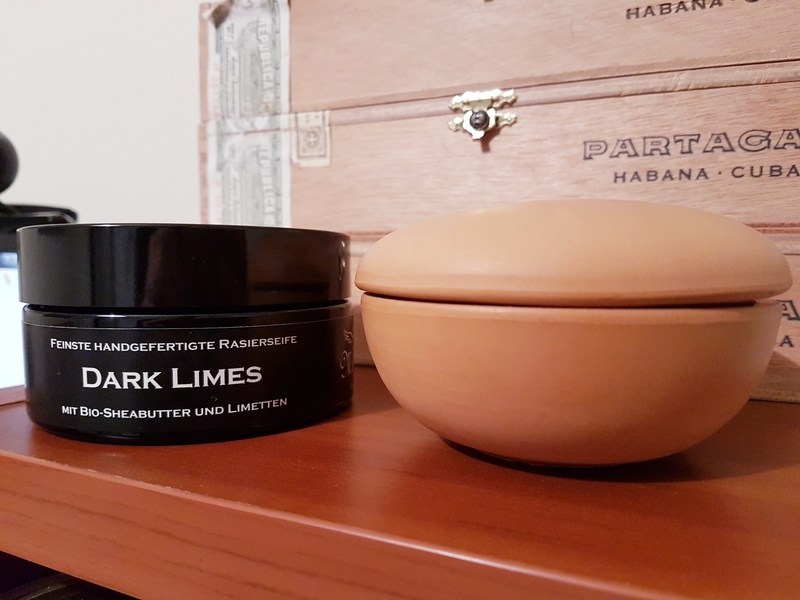 I may have to try the MT dark limes...soap or cream? I am at the point in my wet shaving experience where I could really start collecting. I am trying to avoid filling a closet with products that I will not be able to get to in this life. I want to maintain a good assortment to keep shaving interesting and trust the artisan and corporate community to come up with hardware and software that will be satisfying for as long as I am shaving. The advice to stick to one set up for a month really helped me to gain an understanding of what works for me and why and to avoid the latest and greatest because I just didn't have the technique and knowledge of the products to shave well. also "watching" all the experienced gents unloading boxes of wonderful products, as you have been, has made me aware that no matter how good a new or vintage product may be there is a limit beyond which I am becoming a collector and not a shaver. I think that I would like to avoid that fate. so at 6 razors, a few hundred blades, 4 brushes and about 2 years worth of soap, balms etc. I have enough. (03-24-2019, 07:55 AM)nikos.a Wrote: The result is more important than the "journey" for me. I love luxury ... I can get equally good shaves from some shaving sticks ... I only want excellent, smooth and irritation-free shaves. Maybe you can have both.